I lived in Jaro, Iloilo most of my life. Until I graduated and worked in Manila and got married and followed my husband here in Seoul. I was baptized and grew up as a Catholic. My elementary and high school days had nuns all around us at school. I had fond memories of them but most of them are gone now. But I allowed my husband to have our 2 boys baptized under the Methodist denomination. Now, our family goes to the Yeouido English Ministry (YEM) under the Full Gospel Church. If that speaks of my fleeting loyalty to religion, judge me not. My children learn by heart about God, love, family and compassion. My husband and I are happy and at peace where we are now. We consider YEM our family. Though I always go back to Jaro, Iloilo, this year was more nostalgic than my previous visits. I appreciate my Catholic upbringing and the traditions that went with it. The National Shrine of Our Lady of the Candles, or what we popularly call “Jaro Cathedral”, will always be a sturdy reminder of my childhood. This is where we went to Sunday masses. This is where I trained to be a lector and read bible readings on Sunday masses. What has become of my supposedly strong Catholic upbringing?… Not much has changed. I believe in the same God and live as faithfully as I can and maintain my private relationship with Him. The church was built in 1874 and was proclaimed as a historical landmark in 1976 by the National Historical Institute. I grew up with the legend that the statue which is now enshrined at the top center of those two staircases was found at the Iloilo River and has grown to its current size. 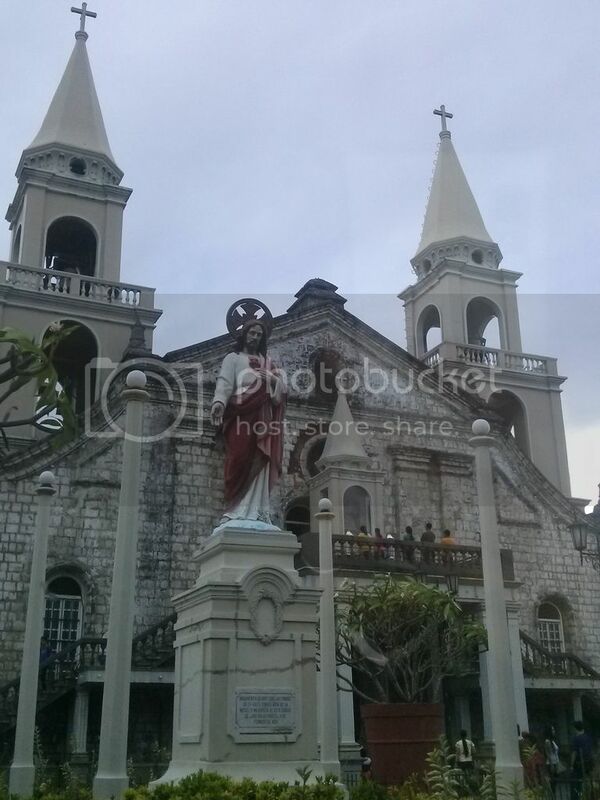 The statue was canonically crowned by the late Pope John Paul II during his visit to Iloilo City on February 21, 1981. When I went back to Iloilo last December, my first stop with my family and my sons was at the Adoration Chapel. Even before we went home to Don Francisco, we passed by this tiny structure beside the Jaro Cathedral to say our prayers. When we were about to leave, I told DeFourth (my second son) to say goodbye to Jesus. He replied, “But Jesus is always with me, Mommy”. In my heart, I said “Amen”. 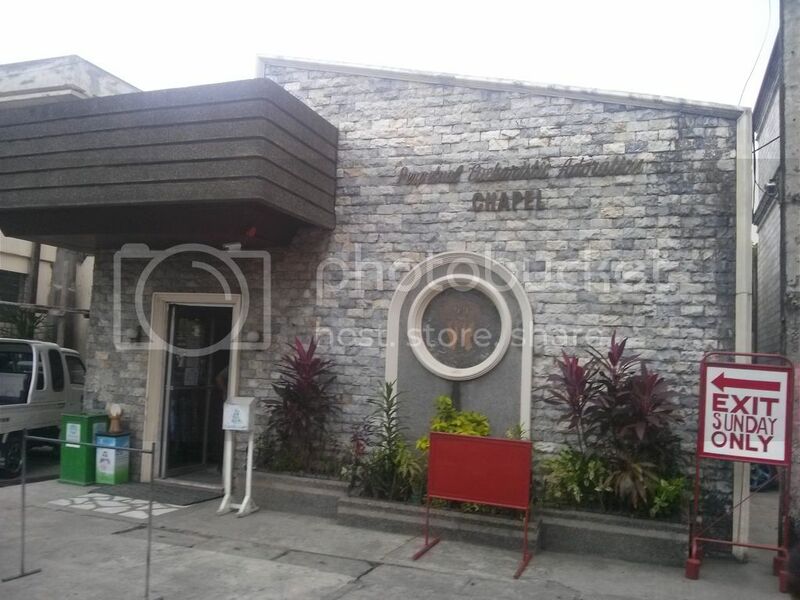 As a Catholic growing up in Iloilo, the construction of the Adoration Chapel was a big development. We waited for its full construction because of what it represents. This is a place where you could talk directly to God. Sans music and priests who deliver their sermons, the faithful can simply enjoy the serenity and the private moments. And this tiny Adoration Chapel is open 24/7 to everyone. 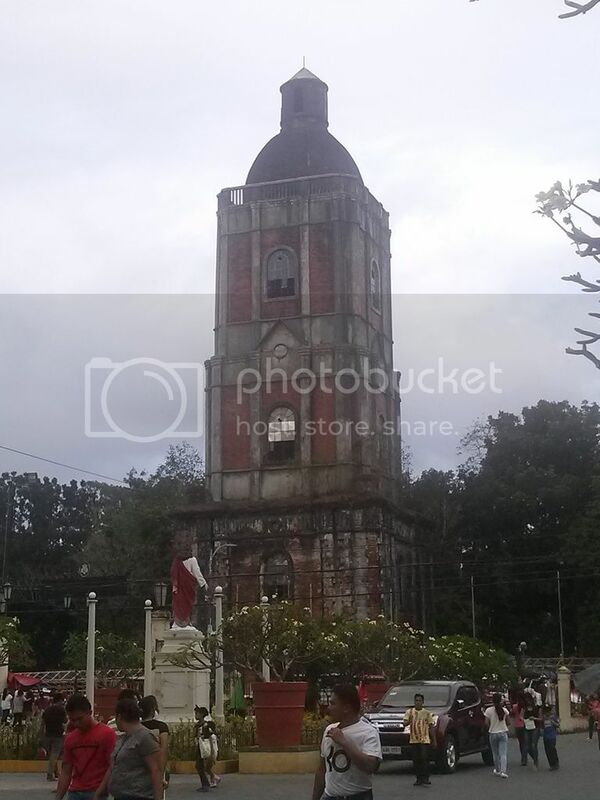 And this Jaro Belfry is a landmark of both the Catholic religion and the history of Iloilo. This campanario was built in 1744. As widely written, this campanario is unique. Most belfries are attached or located beside the main church. But this one was constructed across the road from the Cathedral. It has served its religious purpose as well as it served as a military watch tower and clock. Damaged by 3 earthquakes, it still stands today tall and proud. If you grew up in Jaro, Iloilo (me!) and you see this, you know you’re home! And we also know that this time each year, everyone is busy preparing for the February 2 annual Jaro Fiesta. Some schools declare the day as a no-class day. Catholic schools also send representatives for the annual procession and this is the time of the year when we walk the procession route with heels and make-up on (ouch!) and hoping that the next day would still be a holiday to rest our aching feet. Devotees of the Our Lady of Candles would come from all over to pay homage to the Candelaria on top of those stairs enshrined at the front of the Cathedral the earliest that they can, purchase the Candelaria candles and not forget to buy the famed bibingka from vendors lining the gates of the Cathedral and surrounding the plaza. For its deliciousness, and the tradition it represents, I shall put this bibingka on my list for my 2 sons to taste when we go back to Iloilo next vacation! That is a beautiful church! Have you come across churches similar to these in Korea as well? What an interesting Catholic Church in your hometown, it looks very historic and interesting. I always like the feeling of stepping into a church, I’m sure the Jaro Church brings about strong feelings for you when you enter it. Thanks for sharing! I love old architecture like this. Churches always hold such strong character to cities as well as history. Thanks for sharing! Churches are always some of the most beautiful buildings in cities. I really enjoy seeing the all the detail that go into these structures. Megan Indoe recently posted..Which Cafes in Seoul are Right for You? I agree. Religious or not, churches are landmarks and they usually tell the story of the people and the place, too. I’m in the Philippines now and loving all the new places I’m discovering through blogs. Thanks for highlighting all the amazing things this gorgeous country has to offer! That’s good to know, Izy. Enjoy the warm weather there and I’d love to read about your Philippine trip.